I cannot hear Carly Simon's "Anticipation" without thinking of slowly pouring ketchup. 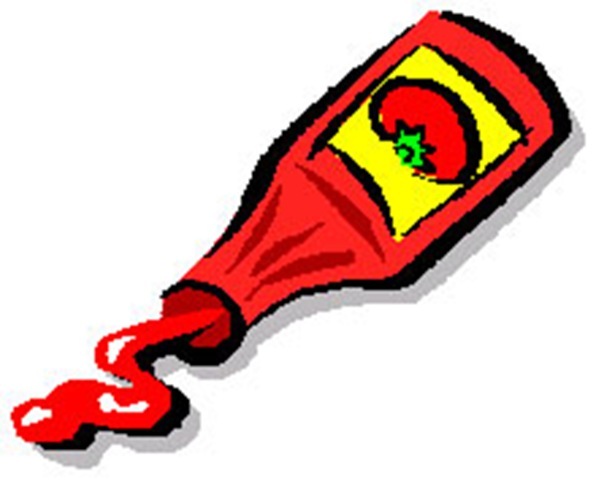 But you know, when I watch this ad, the ketchup is actually zipping along at a pretty good pace. Our at-home ketchup was never this fast. Then in later years we learned you were supposed to be able to tap the bottle right on the 57 and have it come out. But we usually just got impatient and stuck a knife in it anyway. One of the guys who left comments on this YouTube ad says he's the redheaded kid in the commercial, and I have no reason to doubt him. Why would you lie about that? Hey! Isn't that little boy on the left the one from "Airplane," the one who tours the cockpit? And for what it's worth, I assume we all recall that Matt Leblanc was in a Heinz ad in 1987, but the tagline by then was "The best things come to those who wait."